During the last transit of the year from Apia, Samoa to Honolulu, Hawaii, research vessel Falkor will take on an important mapping mission. 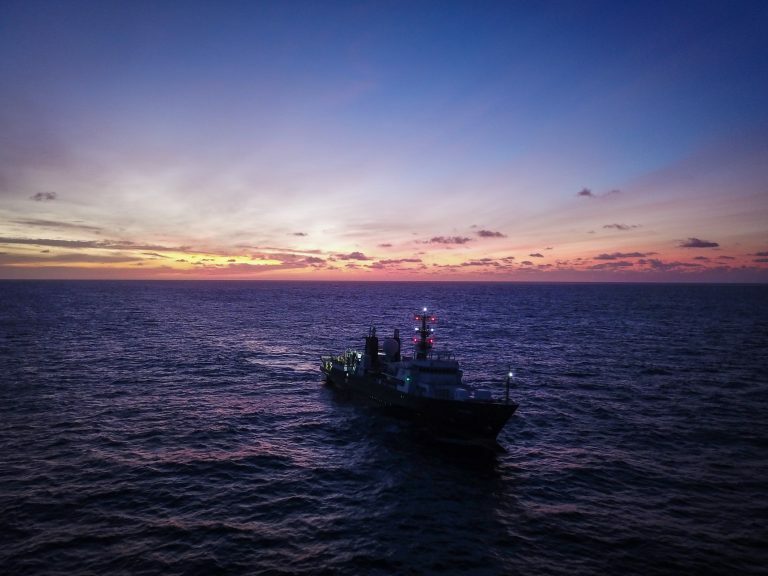 Before leaving the region, scientists and crew on Falkor will take five days to map part of the eastern Ellice Basin’s seafloor, near the Phoenix Islands Protected Area. Located north of Fiji – between the Ontong Java Plateau to the west and the Manihiki Plateau to the east – the Ellice Basin has a complex tectonic fabric of oceanic crust superimposed by seamounts formed by subsequent volcanism. Mapping this area in high-resolution will help to test the hypothesis that the oceanic crust in this basin formed by seafloor spreading that separated the formerly adjoining Ontong Java and Manahiki Plateaus (Taylor, 2006). Interpreting multibeam acoustic sonar variations through the water column give us spectacular resolution images of hidden sea floor. The majority of the Ellice Basin remains unmapped, and large gaps exist between the three regions of detailed surveys added in the last decade. 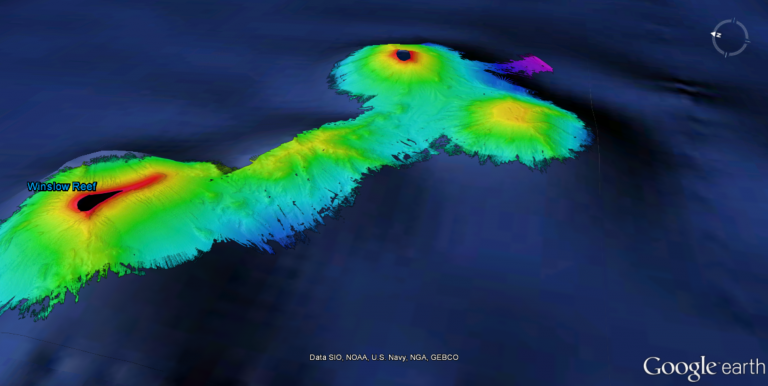 The additional mapping on this expedition aims to provide information on the gap between the central and eastern survey areas. 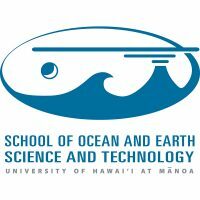 Principal Investigator, Dr. Brian Taylor from the University of Hawaii, will lead the team to better understand and visualize the fracture zone and abyssal hill patterns connecting the surveyed areas, and expand the surveyed area around intersecting fracture zones in the east to determine how this feature formed. Joining Dr. Taylor will be an Artist-at-Sea participant, Molly Holmberg Brown, who will use a mixed media approach to present visualizations of the multibeam mapping data to demonstrate differences of cartographic presentation, and tell the story of the underwater landscapes. Additionally, two Student Opportunities participants, Sally Jarmusz and Cherie Colyer-Morris will join the expedition standing watch and learning about the mapping process while on board. 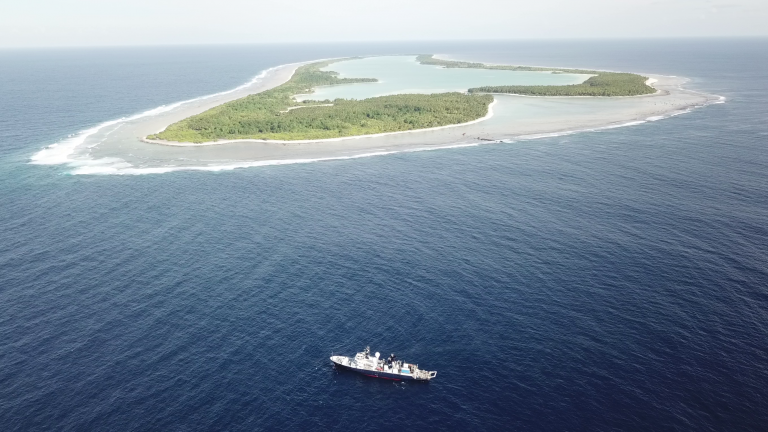 Schmidt Ocean Institute acknowledges and thanks the Republic of Kiribati and the Phoenix Islands Protected Area for their assistance and support of this research. R/V Falkor in the Phoenix Islands Protected area – where the closest human neighbors are on the space station. Bathymetry data has been archived at MGDS.